Cuneiform script, the earliest know form of writing, emerged in the Sumerian civilization in Southern Mesopotamia around 5000 years ago. The documents were written on clay tablets using a reed stylus. Although long extinct, the legacy of cuneiform still exists today in the form of degrees, minutes and seconds; measurements of trigonometry and time. (60 is a versatile composite number divisible by 1, 2, 3, 4, 5, 6, 10, 12, 15, 20, and 30). Paper and the papermaking process was developed in China during the early 2nd century AD and it spread to medieval Europe in the 13th century. The Printing Press was invented in the 15th Century. For the last 550 years, the printed paper book has been the medium for mass written communication and preservation of thought. With the popularization of Computers in the late 20th century, a new medium has come to existence, The Internet. Google has been ambitiously digitizing millions of books. For the first time in history, all accumulated human knowledge and writing is being concentrated into a single entity - a scary thought for many. Just as clay tablets have become insignificant, paper books will also lose their relevance. Hopefully, we can preserve knowledge and information and make it readily and freely available. Don't be evil! The photo is of the bookstore Wooden Shoe Books before they moved to their new location. 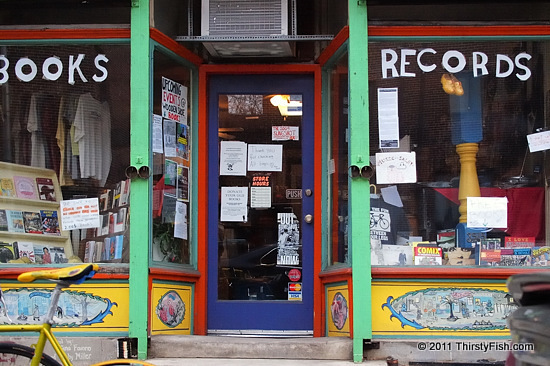 Brick-and-mortar bookstores will disappear just as record stores did in the last few years. With them, a peculiar culture of personal and interpersonal experience will also vanish. Facebook is not exactly an experience!